This month’s Nonprofit Blog Carnival host, Nancy Schwartz, asked us to describe our dream for 2012 and explain what it might take to bring those dreams to life. Our organization is, understandably, all about membership (since we’re providers of online membership management software). So we thought about what our “dream” might be for our customers – small membership organizations – for the coming year, and it came down to increasing engagement to grow support and membership. is to see more people becoming engaged with organizations (like associations and non-profits) that make the world a better place. Ok – you may say this is a pretty lofty goal, but we think it’s one worth striving for. And the early results of our “Membership Trends Survey” suggest that the key priorities for 2012 are – not surprisingly – increasing membership and improving engagement with these members. In looking at what the same organizations are saying about what they are excited about for the coming year, they identify innovation in new programs and services as well as taking advantage of new technologies. We think these exciting trends can be applied to help organizations realize their membership dreams. And while the economy and financial inequity appear to be shaping our world as we start 2012, we believe that small not-for-profits and membership organizations can still find innovative, no- or low-cost ways to both raise awareness and reach out to their constituents with strategic messaging in order to build their membership base. It looks like 2012 will be a challenging year for all of us. But for membership organizations in particular, our survey suggests that retaining members or supporters is the key challenge right now, followed by growing the membership base and funding existing programs/services. These challenges are obviously closely linked, since you can’t retain or recruit members without meaningful programs and services. One of our 6 Membership Predictions for 2012 was the move toward “member-driven decision-making.” Suggestions on inexpensive ways to find out what your members or prospects are looking for include online surveys, Facebook polls, questions on members’ forums, etc. For our part, not only do we hope to help membership organizations realize their dreams through the use of online technology, but also by providing information and resources. We've developed a Membership Knowledge Hub) to offer resource materials created specifically for the volunteers and staff of small associations, non-profits and other membership organizations. We know that at small-staff or volunteer-led organizations, individuals often have to wear many hats and take on new roles without a lot of experience or training. So we’ve developed articles and guides offering basic “how-to” information and support on topics such as communications, public relations, volunteer and event management to help get them started. We hope that small organizations find innovative ways of using existing technology and social media to raise awareness about their organization or cause in order to build support and increase membership. We know that embracing innovation can be scary, but it will be particularly important to listen to and enable member- or supporter-led innovation this year in order for membership organizations to thrive and grow. Our goal will be to continue trying to offer tips and information that will help our blog readers and clients achieve their membership dreams. 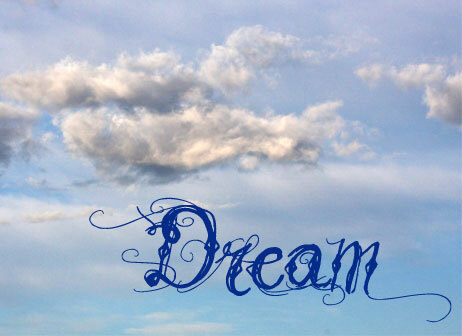 So what’s your dream for your organization or membership / non-profits in general? There’s a little time left if you’d like to submit your ideas to the Nonprofit Blog Carnival, you have until Friday, January 27th. You can email your post to nonprofitcarnival@gmail.com (include the permalink of your post, your name and blog name), or use this submission form.